This service manual describes basic functions, theory of electrical and mechanical operations, maintenance and repair procedures of EPL-N1600. The instructions and procedures included herein are intended for the experienced repair technicians, and attention should be given to the precautions on the preceding page. Provides the step-by-step procedures for the troubleshooting. 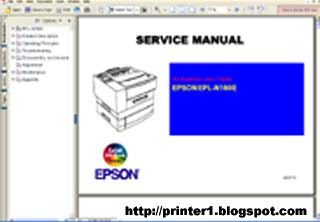 0 Response to "EPSON EPL-N1600 PRINTER SERVICE MANUAL"